Supervised and trained several volunteers on projects such as creating databases of cooperative developments. Researched, drafted and presented briefings, speeches, testimony and reports on housing policy issues. Proposed idea for formation of borough-wide Mitchell-Lama Task Force to address crisis of buyouts of Mitchell-Lama buildings in Brooklyn. As Project Coordinator, served as Vice Chairperson of 30 -50 member Mitchell-Lama Task Force. Provided workshops and meetings for tenants and cooperative shareholders to address housing and quality-of-life issues. Drafted support letters to community organizations seeking funding and resources for housing development and operations. Supervised and trained bi-lingual housing staff, office aides and Work Employment Program workers. Expanded program development and funding for financial support through research and drafting of proposals. Managed State-funded housing program contracts and ensured quality assurance and program compliance. Provided counseling, mediation and advocacy services on housing issues and disputes between landlords and tenants. Coordinated special events, projects, presentations and workshops and represented the agency at meetings. Drafted press releases to local newspapers and submitted articles for publication in the corporation’s quarterly newsletter. Researched proposals for housing program development and government funding. 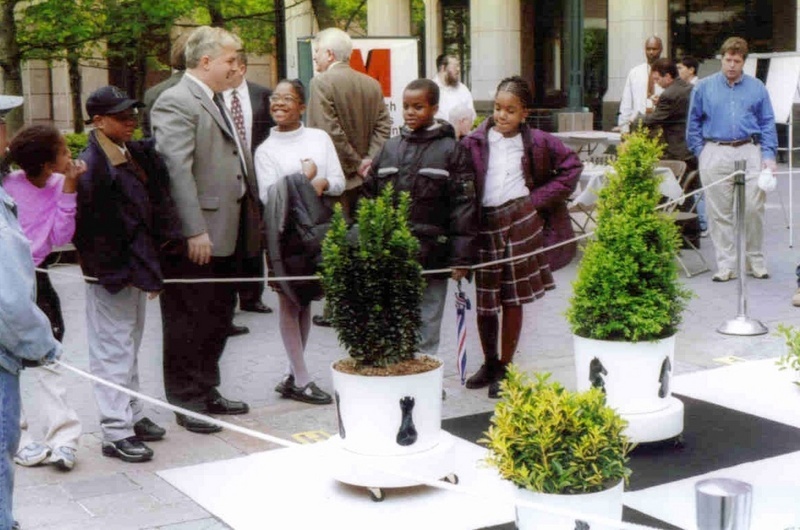 Coordinated and performed research for creation of Mid-Brooklyn Directory of Community Services for a commmunity-based local development corporation. Researched issues for responding to constituent and client correspondence on a wide range of concerns. Researched current and pending Federal, State and City legislation for developing and recommending policy positions and legislation on housing issues. Coordinated and performed research on census and demographic issues. Provided advocacy and case managment to constituents in the Brooklyn Borough President's Community Service Center. Provided counseling, case management, mediation and advocacy services on housing issues and disputes between landlords and tenants. Provided case management to HIV/AIDS diagnosed clients residing in a scatter-site apartment program. Provided counseling and crisis intervention for developmentally disabled adults attending day treatment programs and residing in supervised group homes. Provided counseling, case management, group and recreational activities, and medication dispensing to mentally ill adults attending day treatment programs and residing in 24-hour supervised residences and adult homes. Provided outreach and case management services to mentally ill and chemically addicted homeless adults. Provided outreach, referrals and advocacy to constituents of the Brooklyn Borough President on housing matters. Presented workshops and chaired meetings for tenants and cooperative shareholders to address housing and quality-of-life issues. 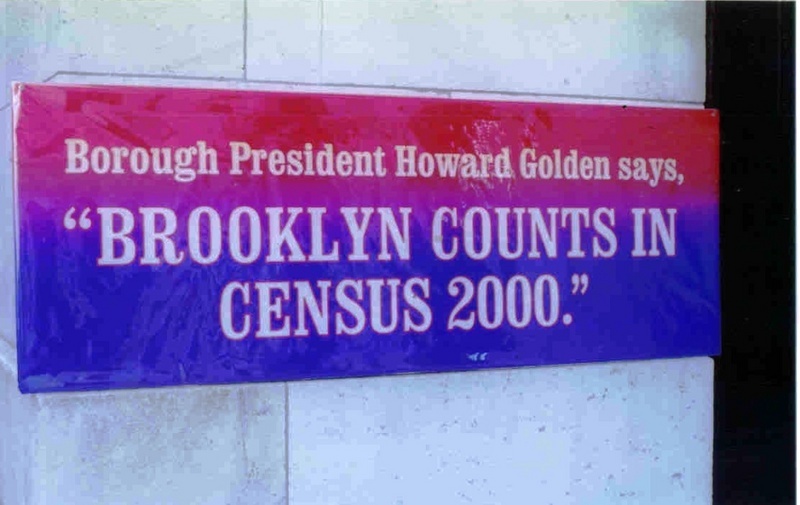 Chaired meetings of the Brooklyn Borough President's Census 2000 Task Force. Served as Vice Chairperson of the Brooklyn Borough President's Mitchell-Lama Task Force and chaired committees of the task force. Spoke on behalf of the Brooklyn Borough President at community board and district service cabinet meetings, and special events. Delivered testimony on behalf of the Brooklyn Borough President at New York City Council, New York City agency and New York State Assembly public hearings. 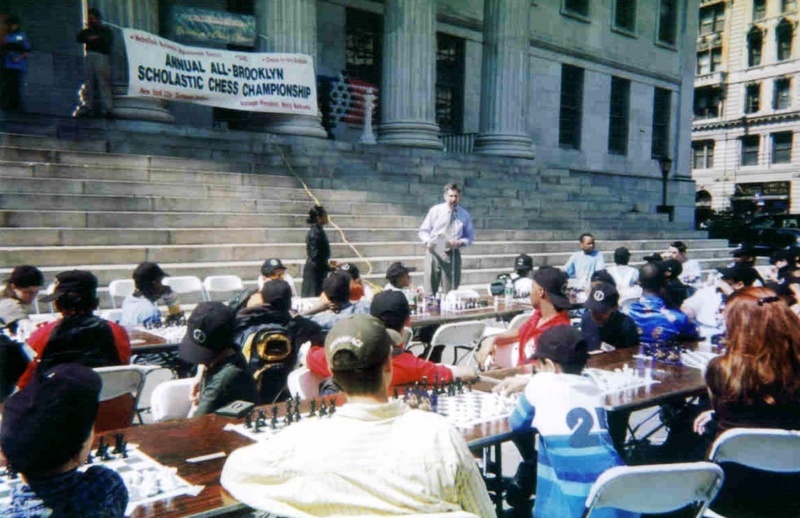 On behalf of the Brooklyn Borough President served as master of ceremonies at a large chess event open to the public. Drafted correspondence in response to constituent complaints and requests for assistance on issues such as inoperative street lights, parking violations, and housing discrimination. Provided advocacy to constituents through through correspondence with community organizations and government agencies. Drafted briefings, speeches, testimony and reports on housing policy issues for the Brooklyn Borough President (See Writing Samples Section). Drafted support letters to community organizations seeking funding and resources for housing development and operations. 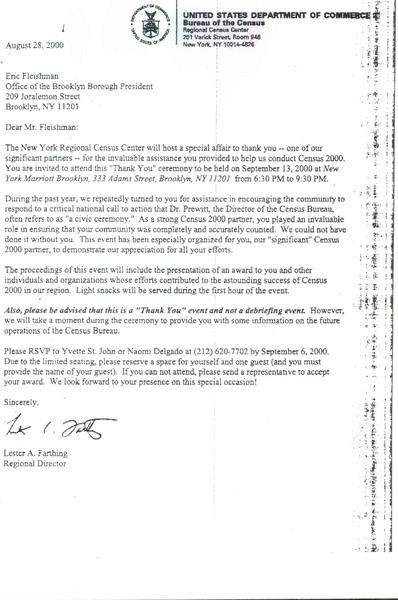 Submitted recommendation reports on the activities and findings of the Brooklyn Borough President's Census 2000 Task Force in order to obtain an accurate census count (See "Brooklyn Counts in 2000"--- Excerpts [DRAFT]). Drafted press releases to local newspapers and submitted articles for publication in the Midwood Development Corporation’s quarterly newsletter. Submitted drafts for press releases on various housing policy positions for the Brooklyn Borough President's Office. Revised and monitored quality assurance procedures for HIV/AIDS population residing in a Scatter-Site Apartment Program. Wrote treatment plans and presented psychosocial histories for HIV/AIDS, mentally-ill, dually diagnosed (Mentally ill/chemically addicted), and developmentally disabled adult populations. Monitored housing issues and reviewed and proposed Federal, State and City legislation and regulations for developing policy positions and actions (Brooklyn Borough President's Office). Researched, wrote and presented speeches, briefings, reports and public testimony on various Federal, State and City housing policy issues (Brooklyn Borough President's Office). Proposed idea for formation of borough-wide Mitchell-Lama Task Force to address crisis of buyouts of Mitchell-Lama buildings in Brooklyn, New York (Brooklyn Borough President's Office). 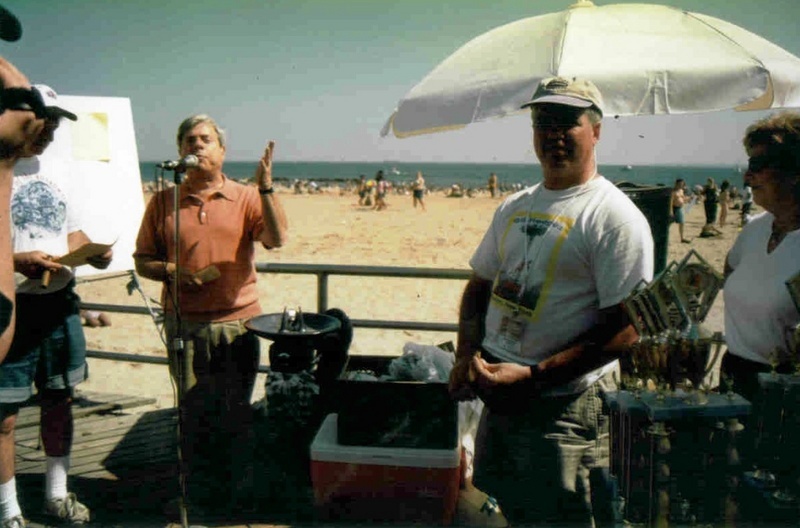 Served as Vice Chairperson and Project Coordinator of the Brooklyn Borough President's Mitchell-Lama Task Force. Provided workshops and meetings for tenants and cooperative shareholders to address housing and quality-of-life issues. Drafted support letters to community organizations seeking funding and resources for housing development and operations. Managed State-funded housing program contracts and ensured quality assurance and program compliance. Organized tenants for the Brooklyn Borough President's campaign to renew and strengthen rent regulations. Developed housing policies, guidelines and procedures for community-based local development corporation. Coordinated administration of Fuel Buyers' Assocation for Midwood Development Corporation. Wrote proposals for program operations and staff work flow procedures. Submitted program operations proposals and deployment plans to city agencies. Expanded program development and sought funding through research and drafting of proposals. Supervised case managers during monitoring visits and supervised administrative aides during the documenting and filing of client records and reports in a substance abuse case control monitoring program’s homeless outreach unit. Resolved ongoing client issues with shelters and substance abuse treatment providers. Developed a case control filing and charting system for identifying and documenting client information. Provided program overview presentations to shelters and substance abuse treatment providers. Supervised a homeless outreach team which provided outreach and case management to homeless adults. Hired, supervised and trained employees and volunteers in a recreational chess program at a community center. Supervised and trained bi-lingual housing staff, office aides, volunteers, and Work Employment Program workers. Supervised and trained several volunteers on projects such as creating databases of cooperative developments. MS Office applications: Word, Excel, Access, Outlook, and PowerPoint. WordPerfect, Outlook Express, Adobe PageMaker, Lotus dBase, SPSS Data Entry, Client Tracking Database Management System Software, Palm O/S and Windows Mobile. Acted as computer network liaison for trouble-shooting maintenance of a computer network system in a community-based local development corporation. Government relations professional with exemplary career, including 5 years supervisory experience. Organized and efficient with exceptional writing, research, public speaking and analytical skills. Demonstrated knowledge of Federal, State and City political, regulatory and legislative processes. 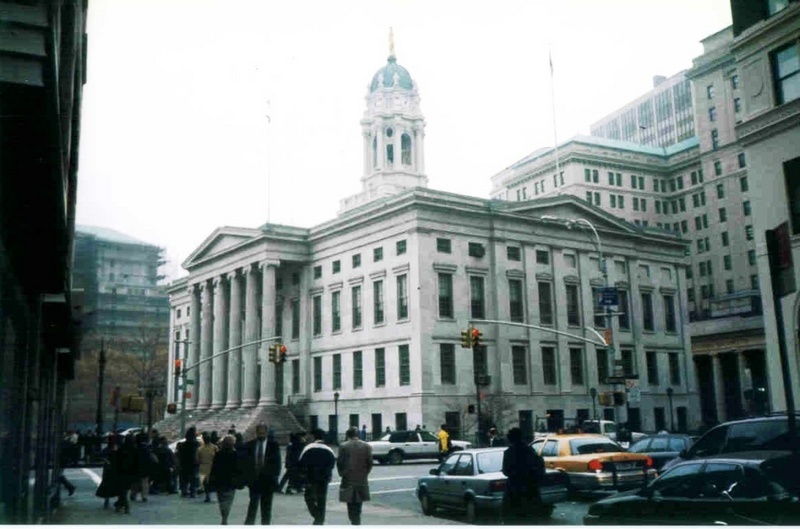 Effective liaison and policy advisor for New York City elected officials. To secure a position as a goverment or community relations manager with an established organization or agency utilizing my housing policy, case management, supervisory skills and experience. 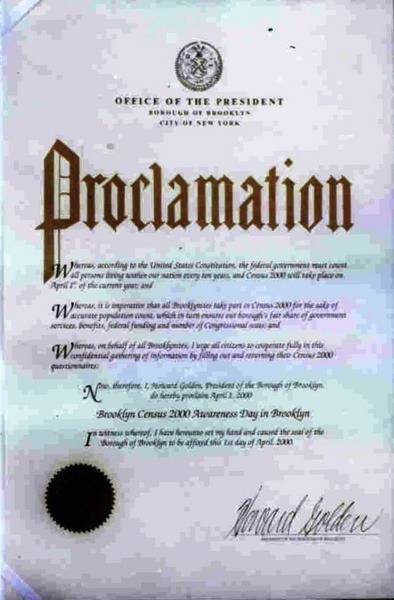 Chaired meetings and coordinated activities and reports for the Brooklyn Borough President's Census 2000 Task Force. 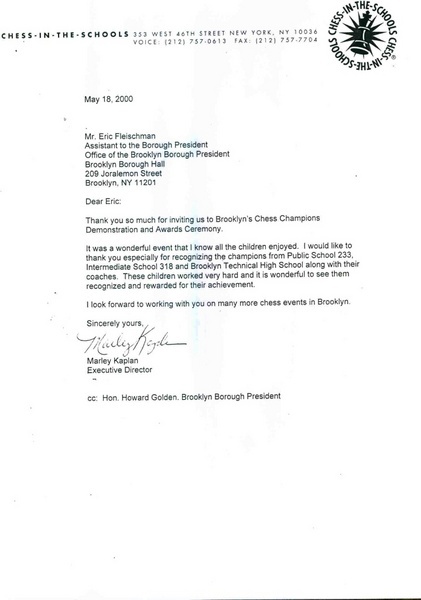 Drafted and delivered numerous housing policy reports and testimonies on behalf of the Brooklyn Borough President. 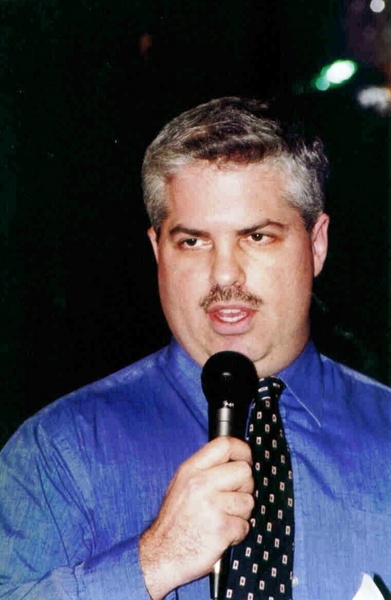 Served as Vice Chairperson and Project Coordinator of the Brooklyn Borough President's Mitchell-Lama Task Force (See "Housing Policy and Advocacy" and "Public Speaking"). Organized and supervised several informational housing and community events for the Brooklyn Borough President (See "Special Events and Projects").